In this design, we find the good Mrs. Maguire visiting her beloved chickens at the hen house. 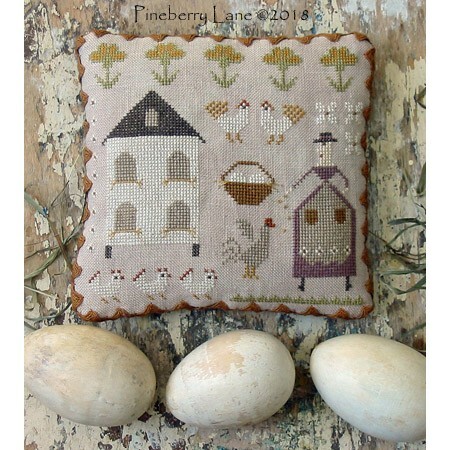 Original stitched on 36 count Lakeside Linen Vintage Meadow Rue with DMC threads. 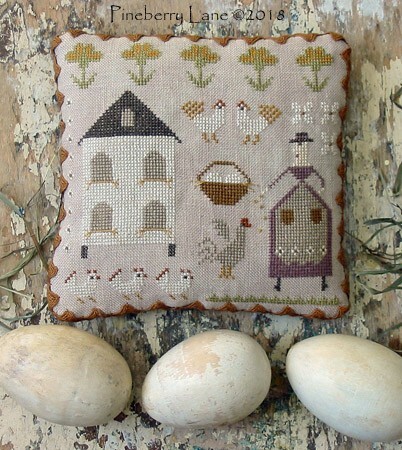 Stitches include: cross stitch, straight stitch, satin stitch, and French knots. Stitched size: 6”w x 5.75”h. Pattern includes color photo, professional cross stitch chart with floss colors and directions for making the little pillow. After purchase, you will find your e-patterns under My Account > Downloads.